Gaming doesn’t get much more technical than the fighting game scene. Here, even the most average of players is a comparative virtuoso, training hard, memorising inputs - even speaking a distinct language. Today's quiz looks at these addictive, nigh-impenetrable titles and asks - just how much do you know about fighting games? 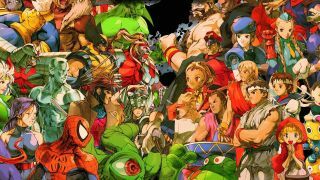 We've got questions on everything from Street Fighter to Skullgirls and Darkstalkers to Divekick. It's time to pit your wits and throw your fists. Ready? Fight!